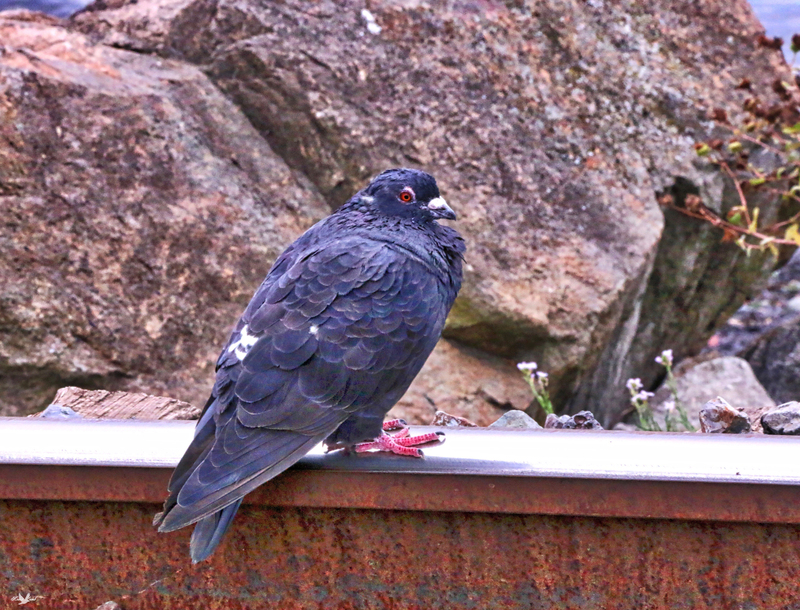 A Rock Dove (Feral Pigeon) sitting on the train tracks. Surprisingly enough this seems to be a popular perch for Pigeons, Crows, and Gulls. I have not idea why. Perhaps the tracks are warmer than the rocks. This entry was posted on 2015/10/25 by Robin. It was filed under Birds and was tagged with B.C., Feral Pigeon, Red eyes, Rock Dove, Train tracks, White Rock. I like those bright feet and legs. Ruth, it stands out in a crowd alright! Maybe it’s a death wish!!!!!!! Bb, maybe! One never knows with pigeons and such!